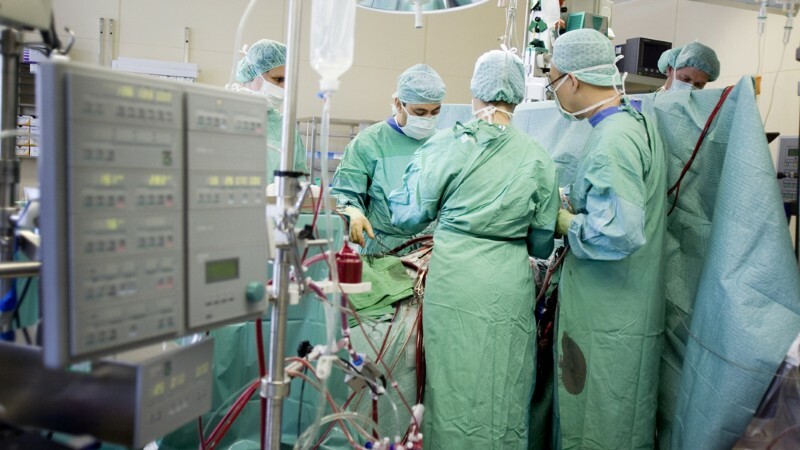 A lucky group of researchers will soon walk away with £30 million (US$39 million) to study the heart and circulatory system — one of the largest single grants for medical research in the world. The British Heart Foundation (BHF) launched the award on 25 August, and it is open to international applicants. “It’s an absolutely fantastic idea,” says cardiologist Tim Chico of the University of Sheffield, UK. Cardiovascular disease is responsible for one in three deaths worldwide, and the BHF hopes that providing such a large chunk of money to a single team will accelerate breakthroughs in the fight against the disease. “I think to solve a major problem requires investment at least of this scale,” Chico adds. Named the Big Beat Challenge, the award is open to anyone studying heart and circulatory diseases in academia or industry anywhere in the world. Detailed criteria will be published when the application period opens in late 2018. The grant marks “a very different, radical way of doing things”, says Nilesh Samani, medical director of the charity, which spends over £100 million a year on cardiovascular-disease research, in grants of up to £3 million. The £30-million award will come on top of the foundation’s usual research investment. Samani says that the aim of the new grant is to fund a big idea that could directly improve the lives of many people. The BHF has designed its grant to motivate researchers to work across disciplines. Cardiovascular problems are often associated with other disorders — for example, kidney and lung diseases — so an approach that cuts across disciplines is important, says cardiac pharmacologist Sian Harding of Imperial College London. “The disease itself doesn’t have boundaries,” she adds. Samani says that applications could also include researchers outside of medicine and biology: for example, AI researchers could help to develop tools that predict the risk of cardiovascular disorders. It is also encouraging that the BHF is emphasizing international collaboration and the global burden of cardiovascular diseases, says Amitava Banerjee, a cardiologist and data scientist at University College London. “If we really are talking about global need, then we need to get global data — we can’t be doing studies only in London and Oxford,” he says. However, Banerjee is concerned that, for all the talk of innovation and transformative research, a grant of this size is likely to go to a team led by well-established, senior scientists who might not be the best source of exciting ideas. He says that medicine needs to move away from this form of “eminence-based” research, and instead take cues from other industries, in which novel and radical ideas often come from people at a much earlier stage of their career. The BHF says that all applications will need to include diverse teams and no matter who the applicants are, they must be prepared to take a “high-risk, high-reward” approach. The grant carries with it a substantial amount of money — but it is not without precedent, even in the field of cardiovascular research. In 2015, Google Life Sciences (now Verily) and the American Heart Association announced a $50-million award for research into preventing coronary heart disease. Pharmaceutical company AstraZeneca later climbed on board as well, adding an extra $25 million to the pot. Another UK-based charity, Cancer Research UK (CRUK), also awards “Grand Challenge” grants of up to £20 million to address specific problems. Last year, four teams received funding for projects such as creating virtual-reality maps of tumours and finding ways of preventing unnecessary breast-cancer treatment.